See all our events here. Kicking things off on Monday, March 11th is our Jameson’s Irish Whiskey tasting session, back by popular demand. Enjoy a two hour masterclass tasting Jameson’s signature Whiskeys with whiskey experts all for free! 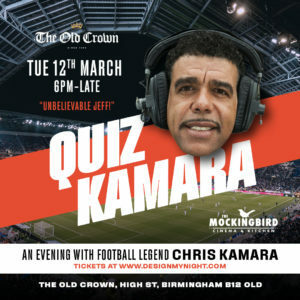 Meanwhile in the next room we’ll be teaming up with The Mockingbird Cinema for special screenings of Alan Partridge along with a cash prize quiz. 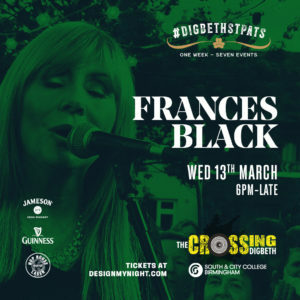 On Tuesday, March 12th we’ll be taking you on a tour of Digbeth’s Irish heritage, looking deep into the history of our home. 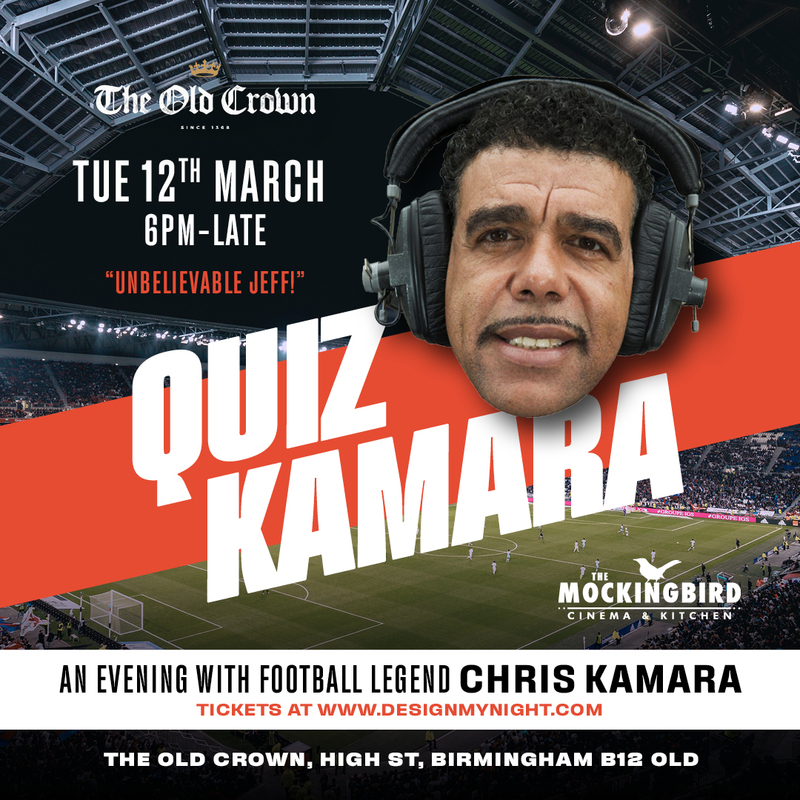 Meanwhile the one and only Chris Kamara will be hosting a football quiz and Q&A session where you can win a signed trophy and a team photo with Chris Kamara. Unbelievable Jeff! 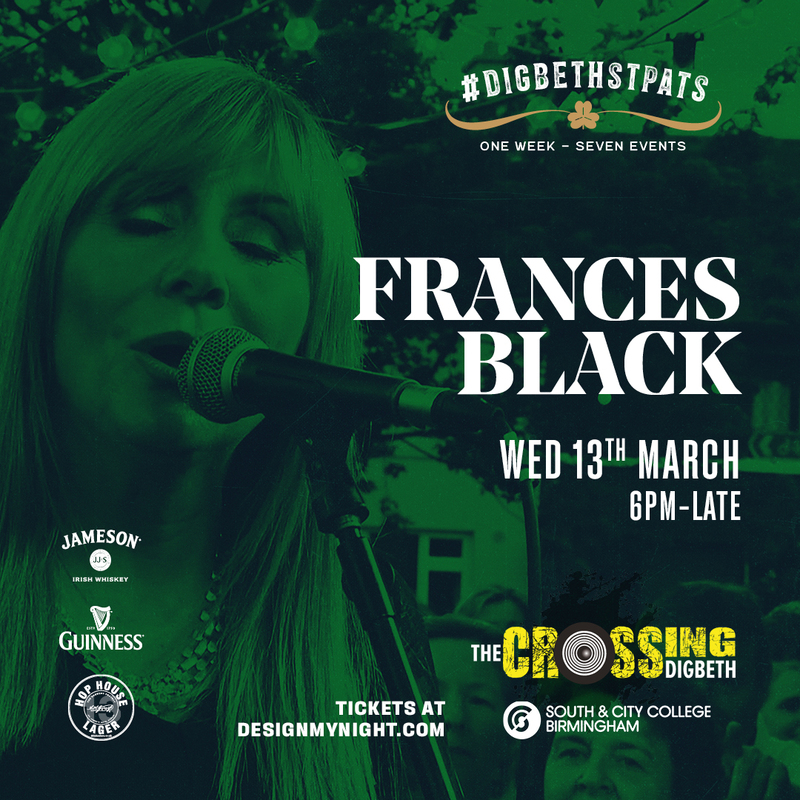 We’re happy to announce the “sweetest voice in Ireland” Frances Black will be joining us on Wednesday, March 13th with a full live band! The award winning and critically acclaimed artist took the world by storm with tracks ‘Wall of Tears’ and ‘After The Ball’, the latter recorded with Irish band Arcady. Catch her playing at The Crossing down the road from The Old Crown. Birmingham football legends Paul McGrath and Steve Staunton will hold an exclusive talk on Thursday, 14th March, reminiscing about their career and explaining how they became some of the most high profile names in footballing history. These Q&A sessions always sell out in advance and this event is looking the same way, so don’t miss out! The real St. Patrick’s festivities start as we get into the weekend… on Friday, March 15th Vice City will be taking over The Old Crown with their usual DJ set of the best in 70s and 80s, sprinkled with the magic of Fleetwood Mac throughout the night! We’re taking advantage of our 10ft screen in the beer garden to show all the action of the Six Nations Rugby on Saturday, March 16th, followed by a live performance by the Holy Show Band! 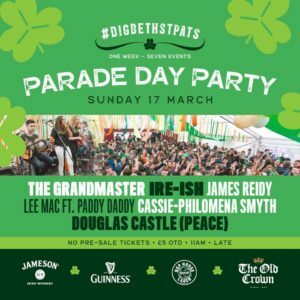 Finally, on St. Patrick’s Day (Sunday, 17th March) we’ll be joining in the street parties and all day festivities from 11am. 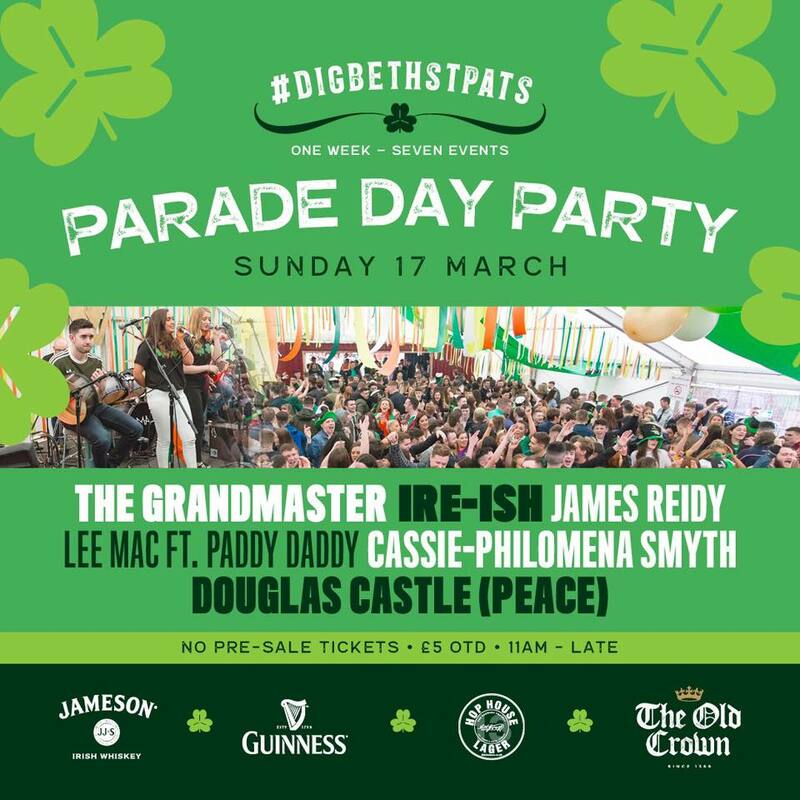 Expect live music from The Grandmaster, Ire-Ish, James Reidy, Cassie Phylomena-Smyth and special guest appearance from Lee Mac Ft. Paddy Daddy, Mr Healey and a DJ set from Douglas Castle (Peace). Tickets for all events Monday – Saturday are available now from Design My Night or Fatsoma (Fleetwood Mac Night) or Eventbrite (Alan Partridge). Tickets for St. Patrick’s Day are £5 and only available on the door. Check out our Facebook page for information on all upcoming events!